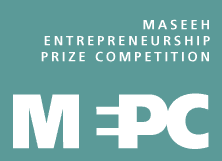 Last week, the University of Southern California's Viterbi School of Engineering announced that it had established a new, business plan competition, the Maseeh Entrepreneurship Prize Competition (http://maseeh.usc.edu/), specifically aimed at students in the engineering school. The competition--backed by a $1M endowment from Fariborz Maseeh--is unusual, in that it is specifically geared towards spurring engineering students towards entrepreneurial ventures. The competition is set up to award $50,000 to the best team each year, and is also tied to a class on entrepreneurship for engineering students. To get a better understanding of the reasons for the competition and its goals, we spoke with Fariborz Maseeh in an interview. Why a business plan competition, and why in engineering school? Fariborz Masseh: The idea of funding a business plan competition is not a new idea. It has been done before, at a number of schools. When I went to school at MIT, there was a business plan competition they called the MIT $50K Competition. It granted $50,000 to successful business plans from the school. It was not specifically for engineering, however. What I thought we would do instead, was to try to come up with a business plan competition for only engineers and innovators that came through the engineering school. The reason for that, is in my opinion, the majority of the innovations that have improved our nation in the past 150 years have been due to technology and engineering innovations. If you look at everything from semiconductors and integrated circuits, to digital communications, to the Internet, to lightbulbs, to lasers, fiber optics, and on and on--all of the major, life changing things, from airplanes to space shuttles, have all been engineering driven. However, we don't teach engineers how to become businessmen. Even though they usually end up innovating and creating at the idea level, they usually need to have a business partner or someone else, to either become CEO of a company, or help them translate their innovation into practical use. My idea was that, if we could inject some business acumen into the engineering schools and engineering innovators, they would become a much better rounded person, and that they would then be able to fulfill the maximum potential of their innovations. Can you talk about your background and how you ended up here? Fariborz Maseeh: All of my training is in engineering. I have a Bachelors in Structural Engineering, a Masters and Doctoral in Engineering. My Ph.D. was at MIT, and was focused on microelectronics and microelectronic sensors. Then, I went and founded a company called Intelisense. I grew that for about nine years, and that company was sold in 2000. In 2003 or 2004, I moved to California, and decided to change from running an engineering company into running a hedge fund. Now, I run a hedge fund and finance firm in Southern California. Are there any specific areas the competition will be interested in? Fariborz Maseeh: Initially ,we hope that the business plan competition would help solve one of the fourteen National Academy of Engineering grant challenges. The National Academy of Engineering has recommended a number of broad areas, where our nation will need to concentrate on, in order to stay competitive on a global basis. So, we though initially that the business plans should be in one of these 14 NAE defined areas. One of the attributes of this prize, is that USC is going to also conduct a business plan preparation and entrepreneurship course for the students. Mentors outside of the university will come and help the innovators and students who have come up with their new ideas, and help them to convert those into professionally prepared business plans. The outside mentors can then help them in making projections, looking into their marketing and business development plans, and look at sales projections and organization. They'll even help them with presentation skills. After the course, we're hoping that they will then come up with eight to ten different, professionally prepared business plans based on the original idea of the engineer or innovator. A committee will select one of them to give a cash prize of about $50,000. We hope they'll ues that prize to seed fund and start their company, and see how it goes after that. Fariborz Maseeh: As long as someone is affiliate with the Engineering school in some way--as an undergrad, graduate student, faculty, post-doc, or research at the USC Viterbi School of Engineering, it's open to them. There's no restriction about their grade or level of involvement at Viterbi. When will the first competition be held? 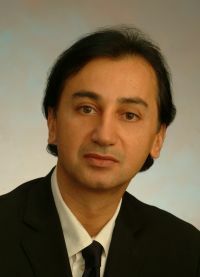 Fariborz Maseeh: The first selection will be done in April of 2011. Along with the prize, we also have the course, which is unique. That course is different in that it will help mentor the engineers to write their business plans, which is very different from regular entrepreneurship courses, where it's usually an outside speaker lecturing students about what they have done in the past. Here, the mentors come and focus on what the innovators want to do. We work on those engineers ideas, rather than just giving them case presentations, about what we've done in the past. Thanks for taking the time to tell us about the prize!